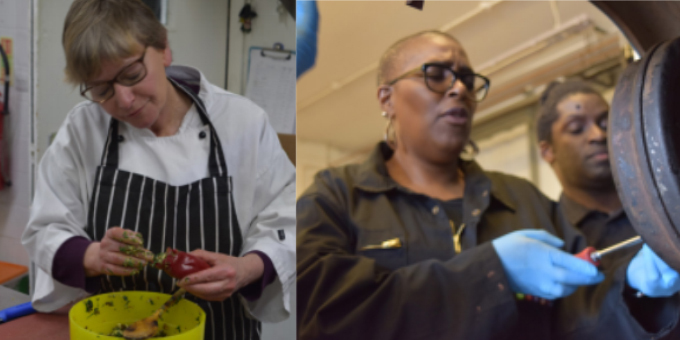 First Step Trust’s (FST) Trading Places is a way to increase efforts to create sustainable work and employment opportunities for people unable to manage mainstream opportunities. Councillor Jacqui Dyer, Vice Chair of the Mental Health Taskforce and Overview & Scrutiny Committee, Lambeth and Denis O’Rourke, Mental Health Commissioner were among those who worked alongside the workforce as colleagues recently. The initiative encourages those who take part to report back to their companies enthused by this sustainable endeavour. A Black Tie dinner celebrating the initiative will be held at FST’s SMaRT Garage Unit in Woolwich on Wednesday 8 June.